Today we are thrilled to host Leah Henderson, author of ONE SHADOW ON THE WALL, published June 6, 2017 by Simon & Schuster. From debut author Leah Henderson, ONE SHADOW ON THE WALL is the story of an orphaned boy in contemporary Senegal who must decide between doing what is right and what is easy as he struggles to keep a promise he made to his dying father. Here Leah shares her thoughts on remembering why we write. As writers and creatives, I’m sure we’ve all experienced days and sometimes weeks or months of doubt and uncertainty. Where every thought about our work is met with an inner voice that says it’s not good enough. These are the moments that make us want to stop writing, stop caring, and stop trying. The moments when we silently ask ourselves: what’s it all for? Last week I was reminded what it’s for. Why I do what I do, and why I write what I write. A few years ago on a trip to Senegal, West Africa one glimpse outside a car window changed more than just my writing life; it clarified what I strive for. I know it sounds weighty, but it’s true. A young boy passing the time on a beach wall captured my attention for the briefest of seconds. And for reasons I still can’t fully understand, he stayed in my mind throughout the day. Then, hours later, when I came back to the same area and found him still there, I asked his permission to take another photograph (I’d already snapped a frantic one out the car window). Little did I know what an immense gift and responsibility he was about to give me. After the shutter closed and reopened, I peered at the captured image immediately struck by the face and stance of the person staring back at me. In the still shot, the boy’s strength screamed a challenge. I dare you not to see me as I see myself. I remember smiling and thinking, this is what he wants me to capture. The way he wants to be seen by the world. The strength and determination I met in his eyes meant everything to me at that moment. It pulled at my heart. I felt like he had so much to say and I wasn’t sure if anyone had ever listened. I wanted him to know I heard and saw him. So the writer in me created a fictional world for this boy. I tried to tell myself a piece of his story. The process wasn’t an easy one, and my days and nights were often filled with doubt, uncertainty, and fear that I’d mess things up, or worse, that I’d never capture even a fraction of Senegal’s heartbeat. But my need to show the boy in my photograph (even if our paths never crossed again) that I saw him as a hero, a warrior, a defender, and a friend in his own adventure was far greater than my fear. Kids like him, who rarely see themselves as the hero or heroine of stories, are my driving force. They deserve stories they can feel proud of and identify with—stories that mirror their own experiences and that are bursting with possibilities, featuring characters they can relate to and hopefully root for. And each time I got stuck, didn’t trust my ability to put one word in front of the next, worried no one would pick up my book or connect with the story, I thought of that boy. I pinned his image to the wall by my computer, saved it in my phone, and often stared at it to replenish my writing well. And long after I’d written the final line, and turned my attention to promotion, I still tried to remember him after almost six years. Yet at a point last week, during a moment when I’d lost sight of “my why,” I received a letter from a young reader. After introducing himself the letter read, “Ms. Henderson I really loved your book!” And if his words had ended there they would have been enough, but he went on to describe what he liked about the story. 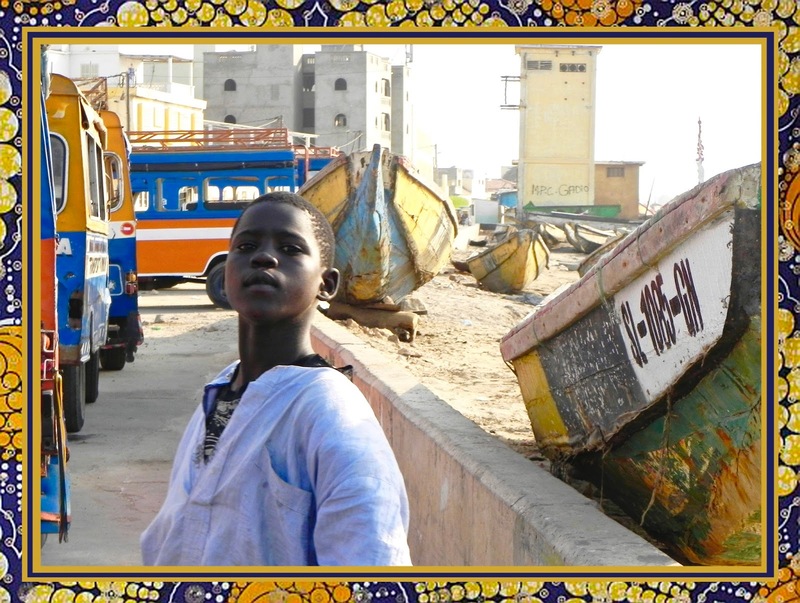 Then I reached the close of the letter: “You know so much about Senegal it’s amazing. 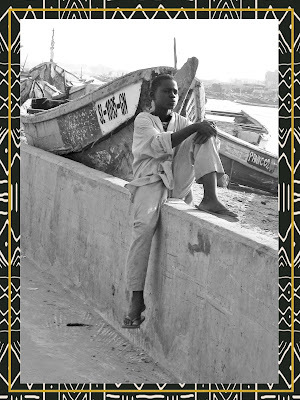 My own dad came from Senegal in a poor village so I really feel a connection to the book and I hope you write more books.” That line was fuel, tears, laughter, stars, sunshine, and glittering gold for me. The young reader who found his way to my book. Writing has its ups and downs like anything else, but in that instance every discouraging moment before that letter arrived was magically forgotten, or turned inconsequential in my mind. The memory of why I write flooded back. I share this with you, because on those days when you are plagued by frustration, or falter because of some level of rejection, please remember why you write. Why you love what you do. Why you need to create. Why all the sleepless nights, doubts, insecurities, and uncertainties are worth it. That is how you will get to the next day and the next. And sometimes, maybe just sometimes, after all that you’ll be lucky enough to be reminded of what you’ve set out to do in the most wonderful ways. This is why I write! Why do you? Leah Henderson has always loved getting lost in stories. When she is not scribbling down her characters’ adventures, she is off on her own, exploring new spaces and places around the world. 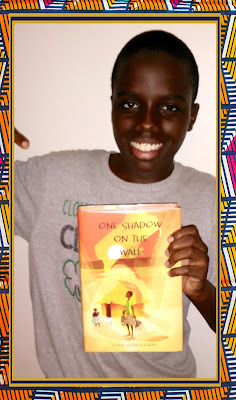 Her middle grade novel One Shadow on the Wall (Atheneum/Simon & Schuster) was sparked by one of those trips. 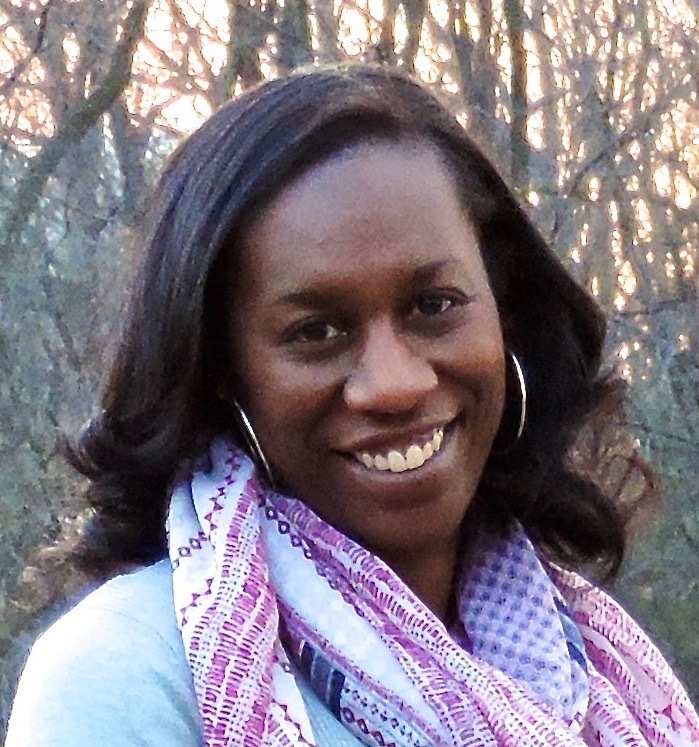 Leah received her MFA at Spalding University and currently calls Washington D.C. home. You can find her on Twitter @LeahsMark or at her website: leahhendersonbooks.com. 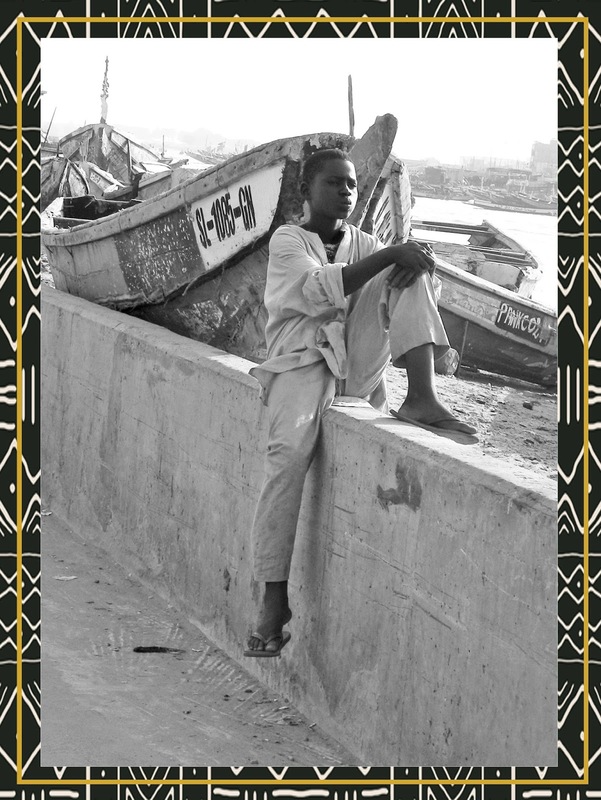 An orphaned boy in contemporary Senegal must decide between doing what is right and what is easy as he struggles to keep a promise he made to his dying father. Eleven-year-old Mor was used to hearing his father’s voice, even if no one else could since his father’s death. It was comforting. It was also a reminder that Mor had made a promise to his father before he passed: keep your sisters safe. Keep the family together. But almost as soon as they are orphaned, that promise seems impossible to keep. 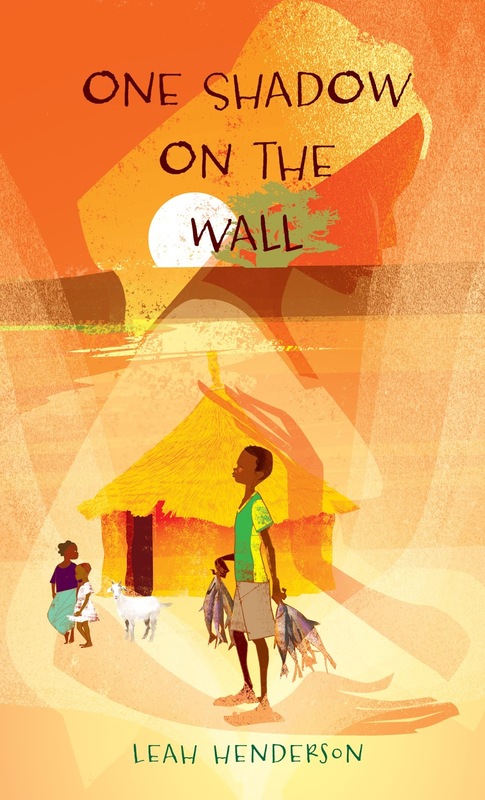 With an aunt from the big city ready to separate him and his sisters as soon as she arrives, and a gang of boys from a nearby village wanting everything he has—including his spirit—Mor is tested in ways he never imagined. With only the hot summer months to prove himself, Mor must face a choice. Does he listen to his father and keep his heart true, but risk breaking his promise through failure? Or is it easier to just join the Danka Boys, whom in all their maliciousness are at least loyal to their own? What an amazing story. It brought tears to my eyes. I'm going to have to get this book. Thanks for such a lovely post. I truly appreciate you taking the time to read it. Thank you! I hope you enjoy Mor's story. So very beautiful and true. For the very reasons you express in your wonderful post, I often give my workshop participants the fololowing prompt to fill out: I have to write this story because I______________________. It's a way to get writers back to their hearts and from there their stories began. The why. Leah, you are so amazing. I love this so much!! Hugs!! Hope to see you again soon!! Leah, It's hard to believe this book is your debut. Your labor was worth it! I am now on the final chapters and am so relieved that Mor and his sisters made it through their trials. Your book is a gift to everyone. That young boy in your photo showed you so much of his heart, and you, reciprocated by honoring him. Thank you! Thank you for saying this...I have never tried so hard in my life to try and do my best! Oh, Leah, what a wonderful post. Your new "muse," the second boy, the young reader is precious. I still am thrilled to have been one of the first to read your debut. It is a book that stays with you, just as your first muse stayed with you as you wrote. I write to help kids find the joy, wonder, and creativity in themselves and to give them respite and humor for hard days. I love why you write, Kathy! Thank you so much for sharing.